Just managed to squeeze one last day in before the rest of January is ruined by strong west/ norwest winds. Caught the early slack offshore and had another 8 decent spur dogs to add to this years tally, a few congers and a big huss. 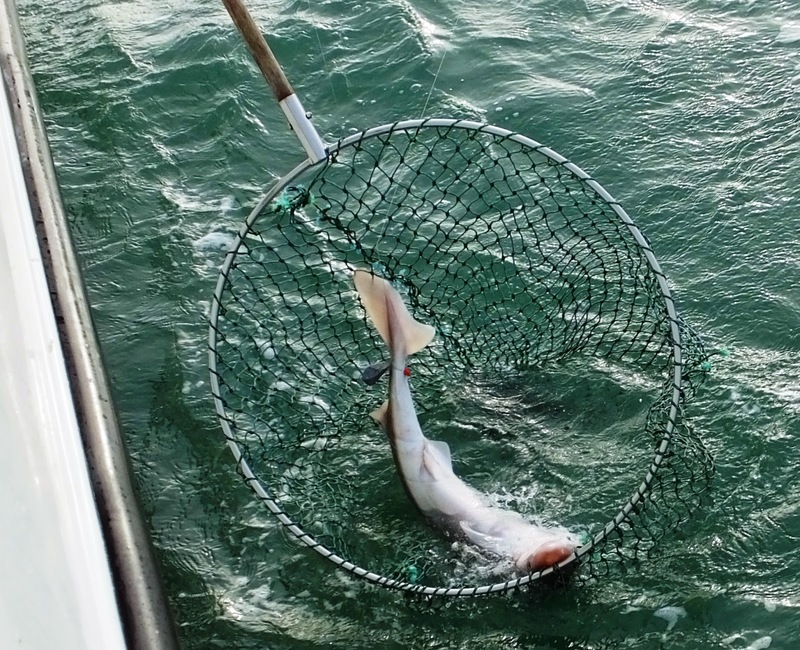 We finished up inshore for a couple hours with plenty of whiting and a couple of rays. 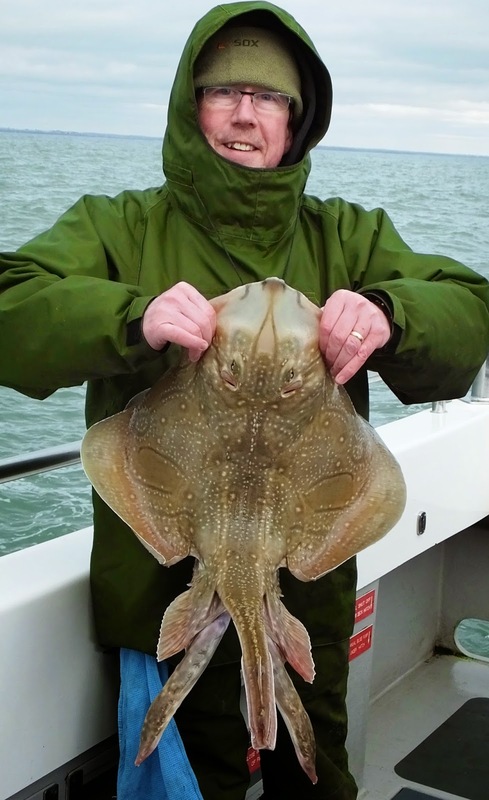 The Admiral made a fine return to form with a 20lb blonde ray on his light gear using a whiting rig. Unfortunately since my last report I have managed a grand total of 3 trips so I’ll keep this short and sweet. 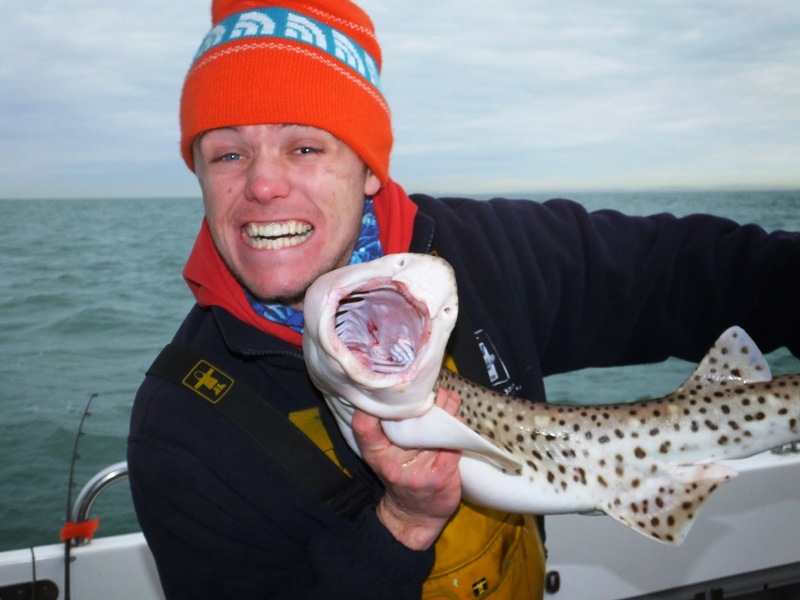 On the 28th December we got out in a strong north-easterly breeze for the Sea Fishing Poole Cod Competition. 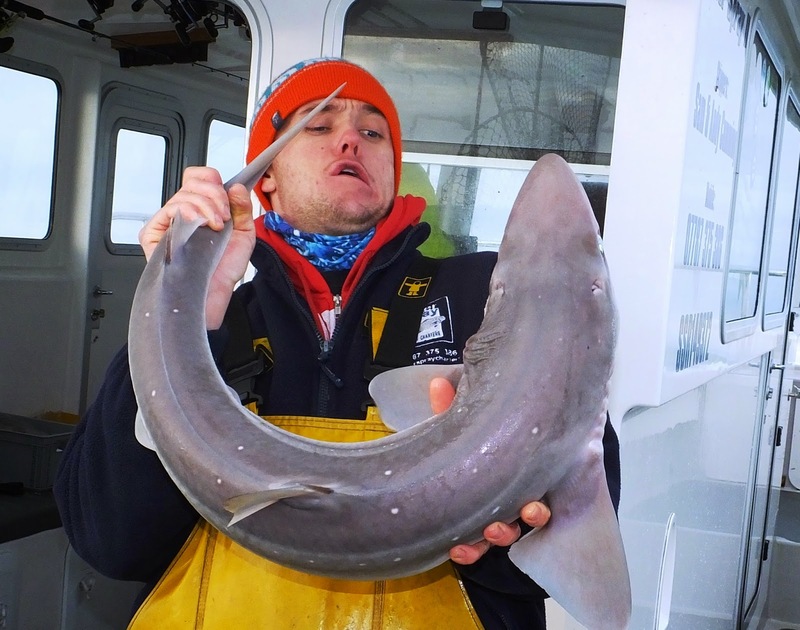 Although conditions meant the day was a little bit quiet with mostly dogfish pout and whiting hitting the deck, one angler had possibly the best days fishing of his life. Tony Lees managed to land a new boat record bass for Silver Spray II weighing in at 15lb 8oz. 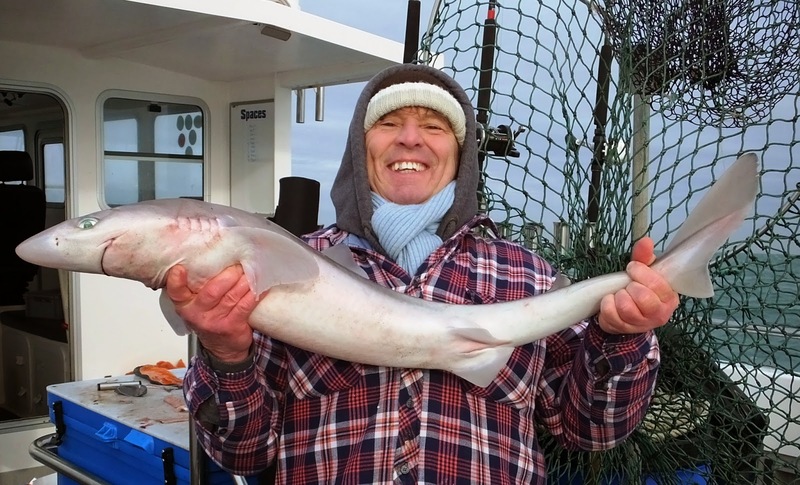 He used a single squid stuffed with limpet and trotted it right back in the tide using a much lighter lead than other anglers. There is something about this technique that tends to temp the odd big bass in the winter, this time in just happened to be the biggest bass I’ve ever seen. Just to round his day off Tony landed a 15lb cod to weigh in at the competition and claimed himself 4th prize, many thanks to Steve Porter for organising. 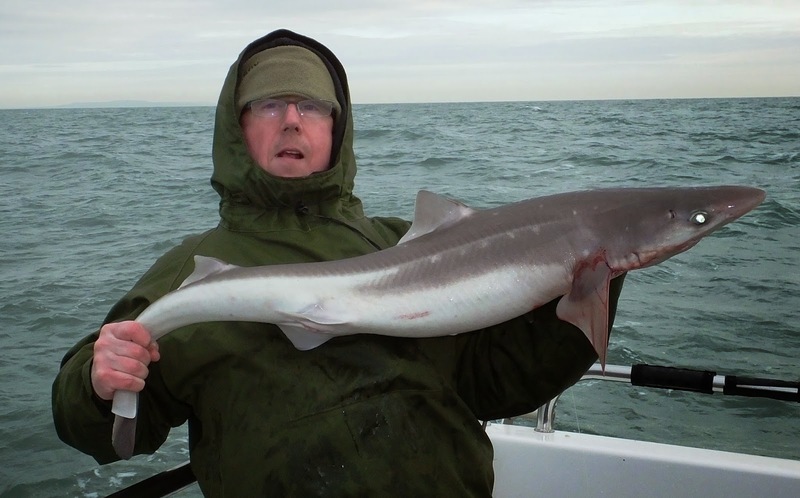 To round the year off we headed offshore for our first trip out to the banks on a flat calm day with no wind at all. 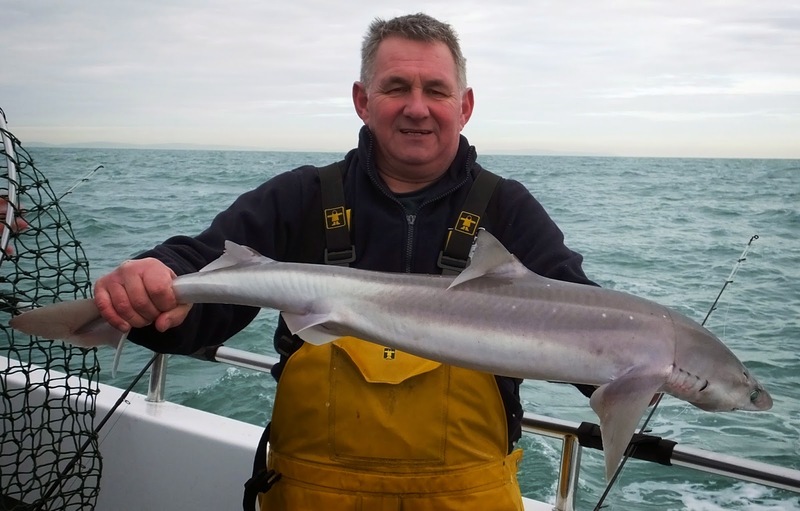 The fishing was brilliant, as it was this time last year, with spur dogs coming up to 19lb and blonde rays up to 28lb in the morning. In the afternoon we changed marks to fish a different type of ground, we found that the harder ground produced more congers and undulate rays and only the one spur dog. Fingers crossed that the weather improves and we can head back out there again before the end of this neap tide.